The Burlingame Golf Center has 45 spacious hitting stalls: 30 covered and 5 specifically for left-handers. The driving range is astro-turf with 10 targets ranging from 70 yards to 260 yards. Featured is a natural grass short game and bunker practice area. Visit our full-service Pro Shop for equipment, accessories and apparel. Also, players can enjoy our Mexican Grill with beer and wine available. 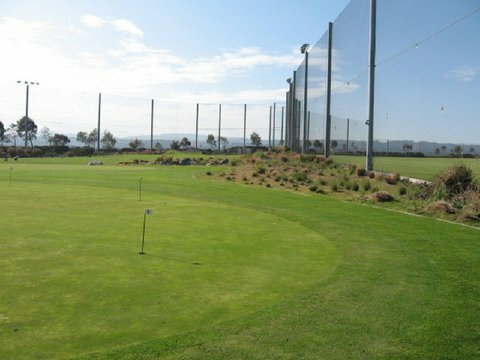 Burlingame Golf Center Website Special - Lunch and Range Balls for $14. Includes: Burrito, Tacos or Quesadilla and Small Bucket of Range Balls. Available 11am – 2pm Monday to Friday (holidays excluded).